“You shot ’em, Joey. You shot your brother.” Has a crueler line ever been spoken? 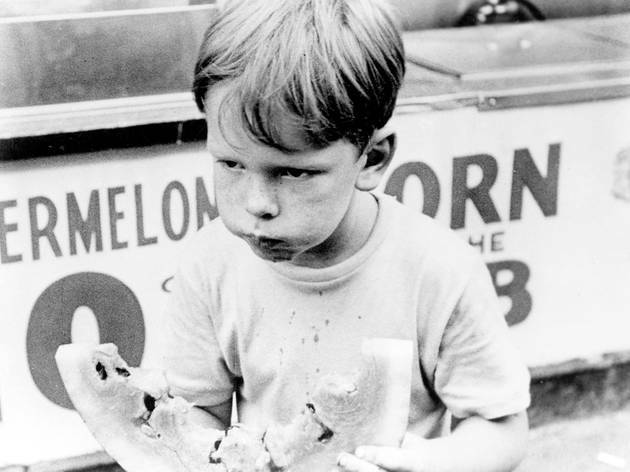 As eternal as a parable and as precise as a time capsule, Little Fugitive chronicles the travails of seven-year-old Joey (Richie Andrusco), who, after being tricked into thinking he’s killed his older sibling (Richard Brewster), guiltily escapes to Coney Island to lead a lonely life of hot dogs, carnival mirrors and pony rides. Over two days and less than two blocks of Brooklyn real estate, the youngster fully explores the glory and terror of childhood, enthralled by the locale’s potential for limitless adventure and cotton candy. There’s influential, and then there’s this 1953 microbudgeted beauty, one that’s made its way into the DNA of everything from cinema vérité to the French New Wave. But that’s history—the truth is that for all of its dated Noo Yawkese elocutions and quaint urbanity (stickball! straphangers! ), the film still feels startlingly alive. 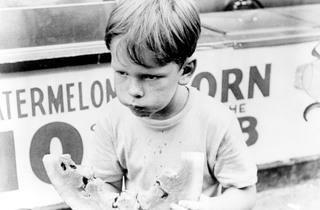 Andrusco’s chewable little face registers 30 shades of pluck, and codirector Morris Engel’s ever-mobile camera casually captures perfection—in sunlight filtering through boardwalk slats, in the quiet descent of the Parachute Jump, in the endlessly repeating pratfalls of the batting cage. No matter how immersed you become in Joey’s experience, it’s strangely jarring when he’s restored to safety, a pint-size cowboy yanked home by an undead brother. Like childhood itself, it’s over before you’re ready to let it go.